The roots of the development of specifically Slovene musical activity reach back to the mid-19th century and are connected to the awakening of national consciousness, which was effectively strengthened, above all, through engagement in literary and musical activities. Slovenes came together in an organised manner in societies and “reading rooms” – political and cultural focal points of the national awakening movement (the first of which appeared in Trieste in 1861, soon to be followed by others in Maribor and Ljubljana); many of them had choral ensembles. Given the modest opportunities for concerts and performances, and the primary purpose of consolidating a sense of belonging to the Slovene nation and culture, it is understandable that the majority of musical aspirations at that time related to vocal music set to texts in the Slovene language. Composers were therefore strongly motivated to write music for choirs and songs for solo voices, and their compositions circulated among singers with the help of the songbook Slovenska gerlica (“The Slovene Turtle Dove”), music periodicals such as Cerkveni glasbenik, Novi akordi, Pevec and Zbori, and the publishing activities of the Glasbena Matica. The establishment of a conservatory of music and, later, an academy of music – offering music theory subjects, a choral and opera school, a composition and conducting department, and more besides – in the cultural centre of Carniola, which Ljubljana was, increased the number of musically qualified Slovenes able to produce and perform music, while the imparting of knowledge about composition boosted the creation of chamber music and orchestral works. The composers of the pieces included in this concert – Anton Lajovic (1878–1960), Emil Adamič (1877–1936), Marij Kogoj (1892–1956), Slavko Osterc (1895–1941) and Pavel Šivic (1908–1995) made a significant contribution to the treasury of Slovene choral music through their advanced compositional approaches. Organised singing is a phenomenon that is still very much alive in Slovenia today, and is in fact the most popular cultural or artistic social activity in the country. 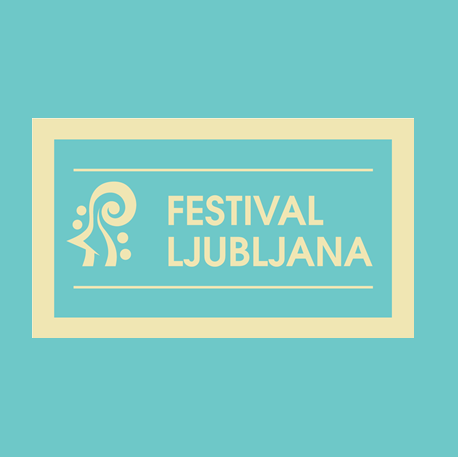 This choral concert offers a chance to hear the finest choral ensembles from three of the music education institutions in Slovenia that are directing young musicians towards careers in music. The Academy of Music Chamber Choir directed by Sebastjan Vrhovnik brings together students from different disciplines to tackle some of the more demanding choral repertoire, and offers interpretations at a very high level, as evidenced by the choir’s second place at the national choir competition Naša pesem (“Our Song”) in 2018. The Chamber Choir of the Ljubljana Conservatory of Music and Ballet, directed by Ambrož Čopi was the winner of Naša pesem 2016. In addition to the highest rankings at the national level, the choir has scored excellent results at international competitions and in its guest performances abroad. It is made up of around 40 students of the Conservatory who enjoy the challenge that this kind of singing represents, as well as the opportunity to further their knowledge of vocal technique. The Girls’ Choir of the Music Department of the Faculty of Education at the University of Maribor, which is led by Tadeja Vulc, is made up of singers from the Music Department’s Mixed Choir who are interested in singing a more demanding repertoire and who recently confirmed their high quality with third place at Naša pesem 2018.